…inactive kinase states are different in their own ways. This admittedly awkward rephrasing of Tolstoy's quote came to my mind as I read this new report on differences between active and inactive states of kinases as revealed by differential interactions with inhibitors. The paper provides a good indication of why kinases continue to provide such enduring objects of interest for drug designers. Ever since imatinib (Gleevec) opened the floodgates to kinase drugs and quenched the widespread belief that it might well be impossible to hit particular kinases selectively, researchers have realized that kinase inhibitors may work either by targeting the active as well as the inactive states of their proteins. One intriguing observation emerging from the last few years is that inhibitors targeting inactive, monomeric states of kinases seem to provide better selectivity than those targeting phosphorylated, active states. In this study the authors (from Oxford, Padua and Newcastle) interrogate this phenomenon specifically for cyclin-dependent kinases (CDKs). CDKs are prime regulators of the cell cycle and their discovery led to a Nobel Prize a few years ago. Over the last few years there have been several attempts to target these key proteins, not surprisingly especially in the oncology field; I worked on a rather successful kinase inhibitor project myself at one point. CDKs are rather typical kinases, having low activity when not bound to a cyclin but becoming active and ready to phosphorylate their substrates when cyclin-bound. What the authors did was to study the binding of a diverse set of inhibitors to a set of CDKs ranging from CDK2 to CDK9 by differential scanning fluorimetry (DSF). DSF can provide information on binding affinity of inhibitors by way of the melting temperature Tm. Measuring the Tm values for binding to different kinases can thus give you an idea of inhibitor selectivity. The main observation from the study is that there is much more discrimination in the Tm values and therefore the binding affinities of the inhibitors when they are bound to the monomeric state than when they are bound to active, cyclin-bound states. Interestingly the study also finds that the same CDK in different states provides more discrimination in inhibitor binding compared to different CDKs in the same state. There is thus plenty of scope in targeting the same CDK based on its different states. In addition, binding to the monomeric state of specific cyclins will be a better bet for engineering selectivity than binding to the active, cyclin-bound states. There are clearly significant structural differences between the inactive and active states of CDKs, mainly related to the movement of the so-called alphaC-helix. This study promisingly indicates that structure-based drug design experts can potentially target such structural features of the binding sites in the inactive states and design more selective drugs. Are you sure you've got that the right way around? 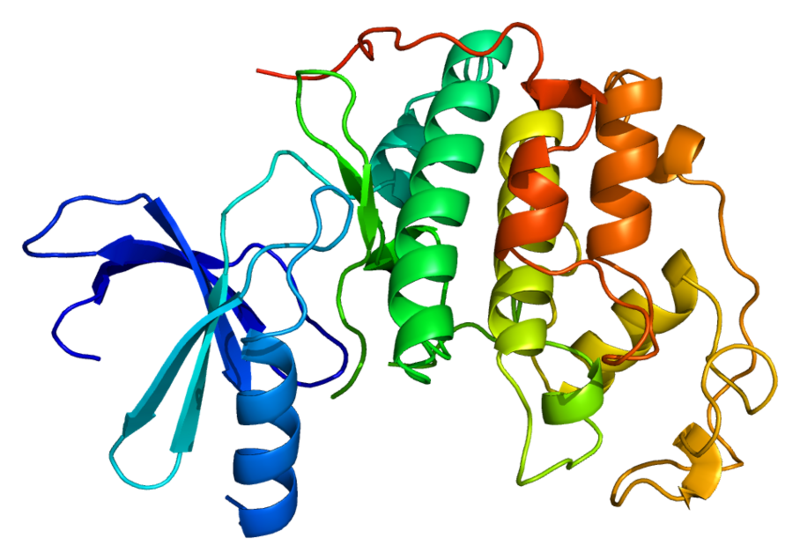 In a review published in Science in 2004, the corresponding author Nobel had written: "in paraphrase of the opening sentence of Anna Karenina, all active kinases are alike but an inactive kinase is inactive after its own fashion." This paper also seems to come to that same conclusion. The fact that the inhibitors discriminate between the monomeric (inactive) kinases more than the active, cyclin-bound kinases suggests the inhibited kinases are more structurally diverse than the active kinases. Indeed, the authors write in the last paragraph: "Our results further suggest that the inhibitor binding properties of a set of fully activated, cyclin-bound CDKs are more similar to each other than are those of a set of inactive, monomeric forms." You are right, I just corrected it, thanks!